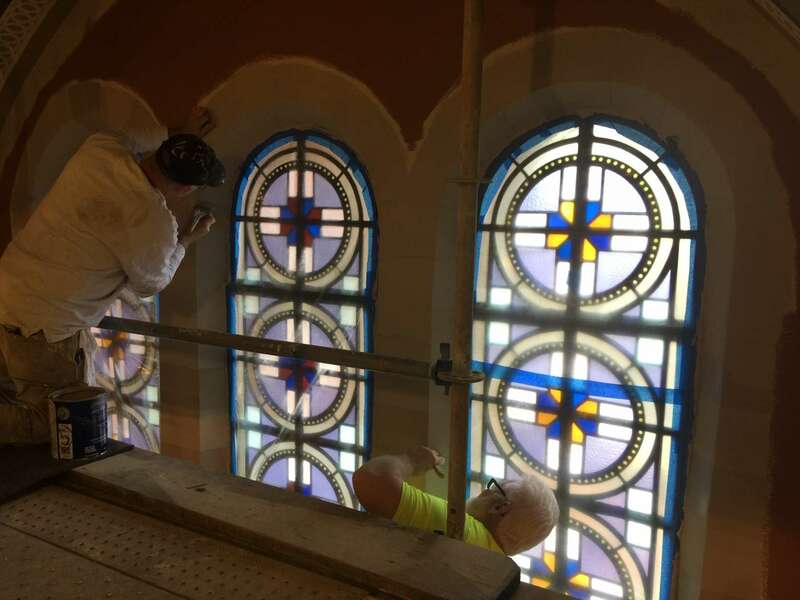 Inspecting the stained glass windows in front of the church, while workers from Ribbeck Construction continue to work on the roofs. These stained glass windows depict the 5 Joyful Mysteries of the Rosary. It's a pity we don't see the beauty of it from the inside; it's covered by the pipe organ. Hope they can do something about it. 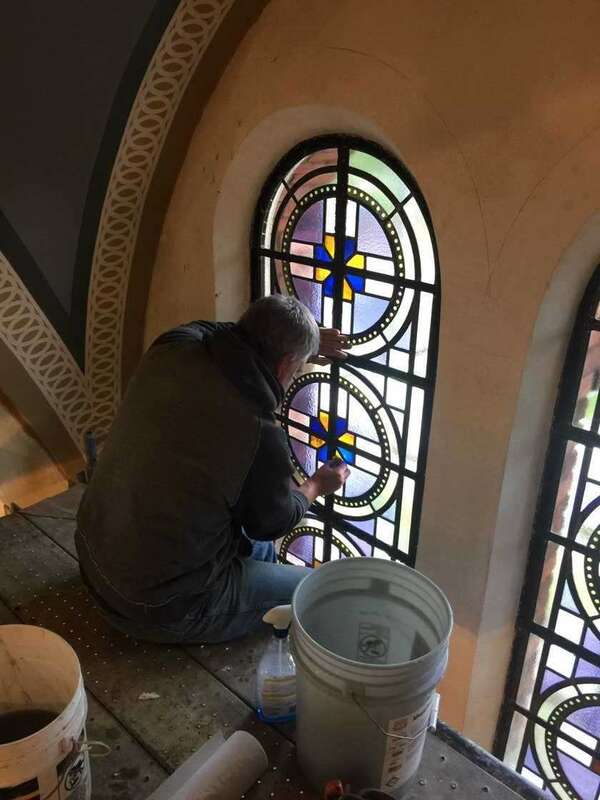 Jeff from Emil Frei & Associates cleaning the clerestory windows. 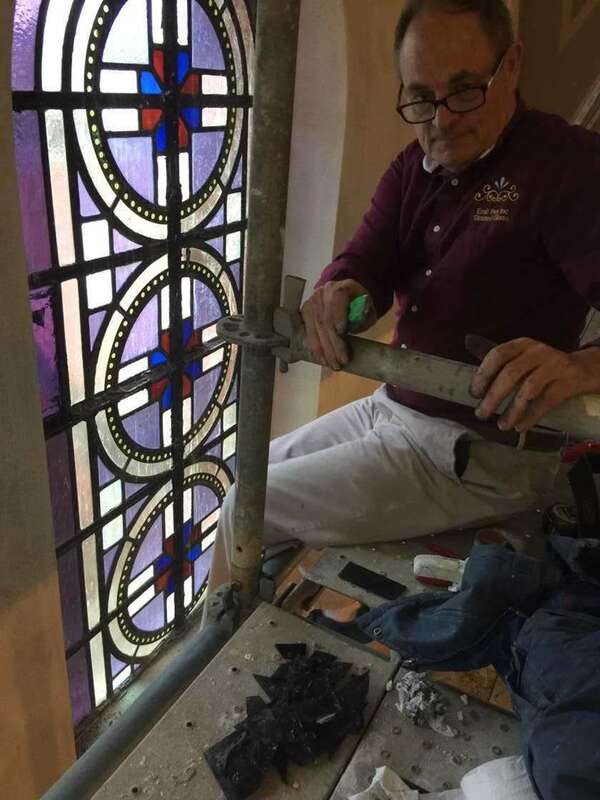 Stephen Frei removing the gummy, tar looking stuff used in the past to repair the water leak. At the bottom of the picture, you'll see pieces of broken glass and some black gummy tar he removed. Here's the vaulted ceiling above the side pews in the nave. Here's the ceiling above the nave's main aisle. 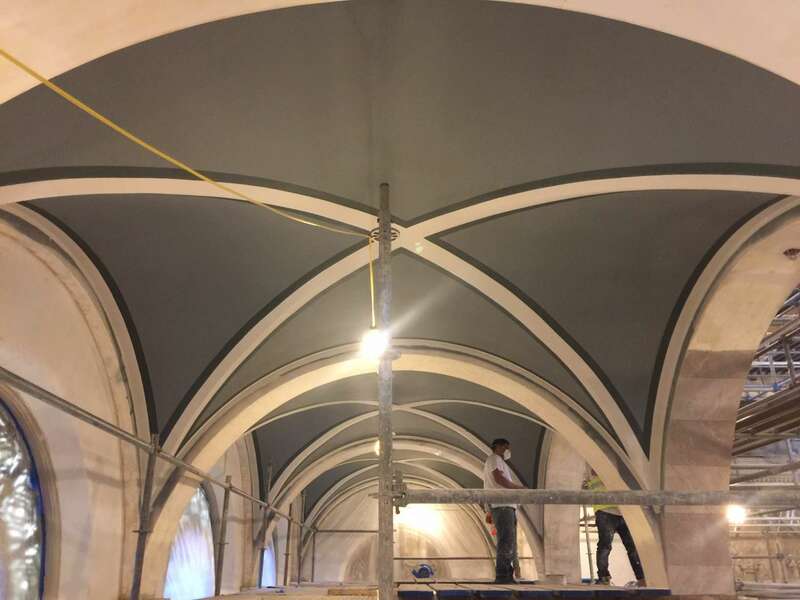 Here's the ceiling where the nave and the transept intersect. 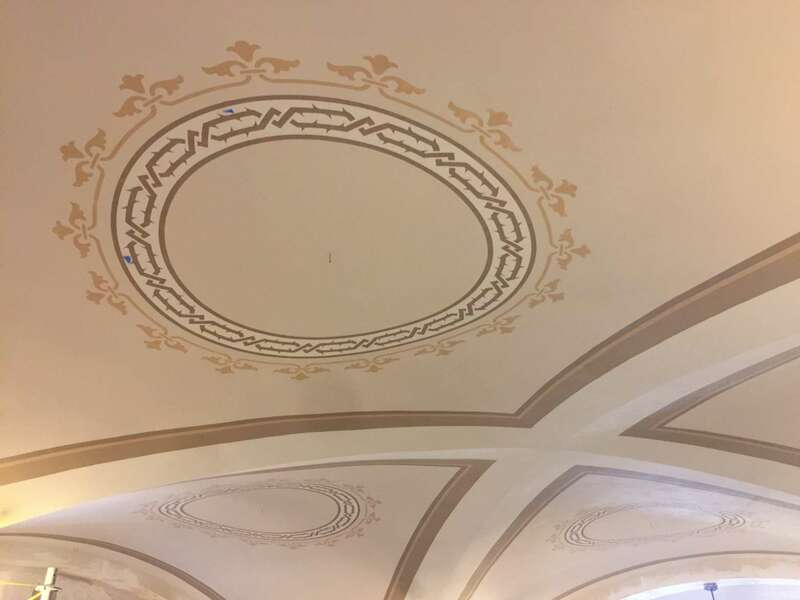 This is where the symbols of the four evangelists (or the four living creatures) will go. 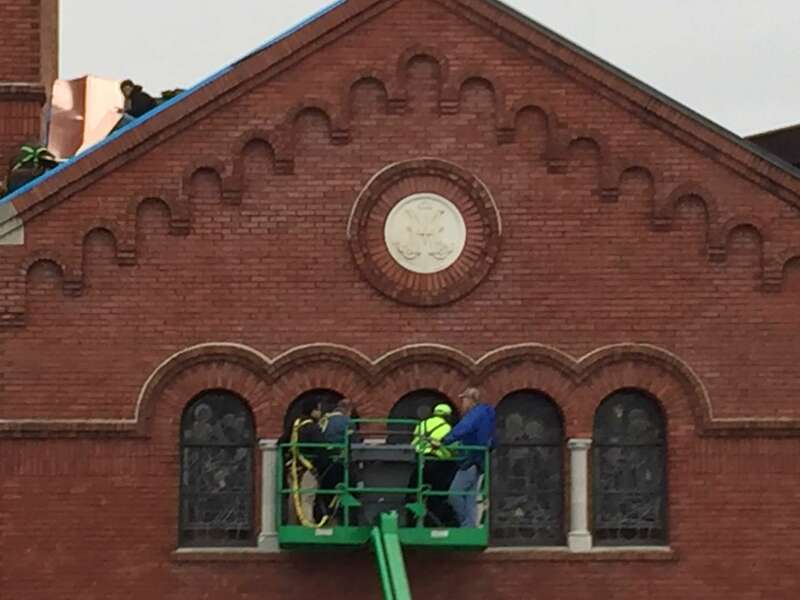 Painters from Conrad Schmitt Studios working on the brick-looking border around the clerestory windows. 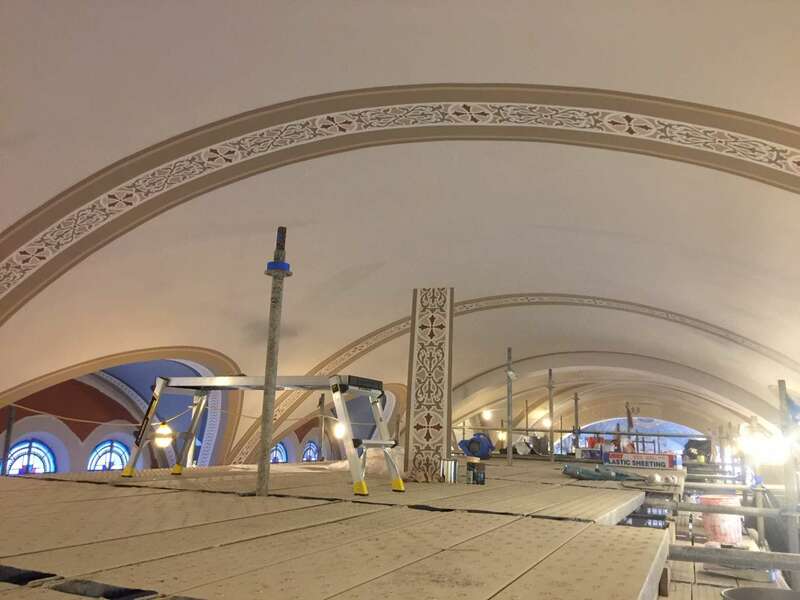 The nave walls painted and ready for stenciling. 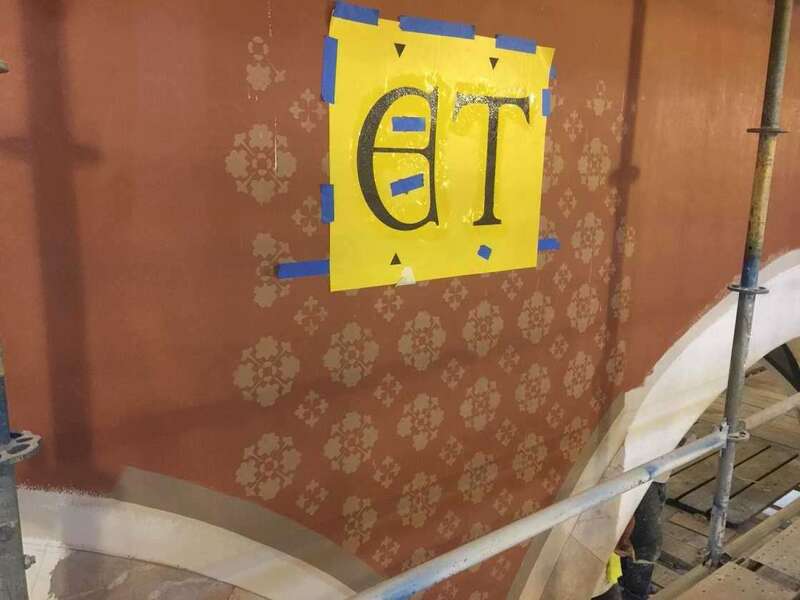 The words of the ancient Marian hymn Tota Pulchra Es will be repainted in gold letters, just as we discovered them when the acoustical tiles were removed. 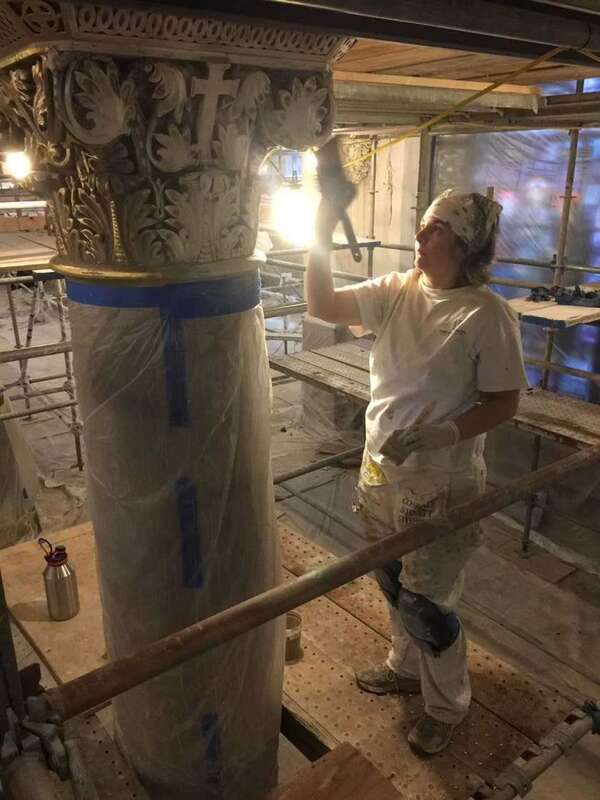 Kim from Conrad Schmitt Studios applying the base paint on the Corinthian capital. 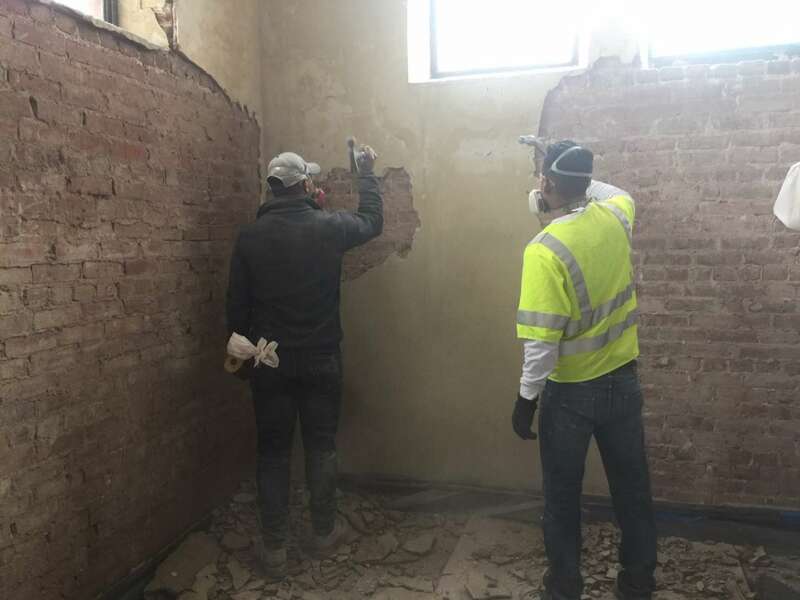 Meanwhile, workers from Ribbeck Construction continue to work on the interior walls. 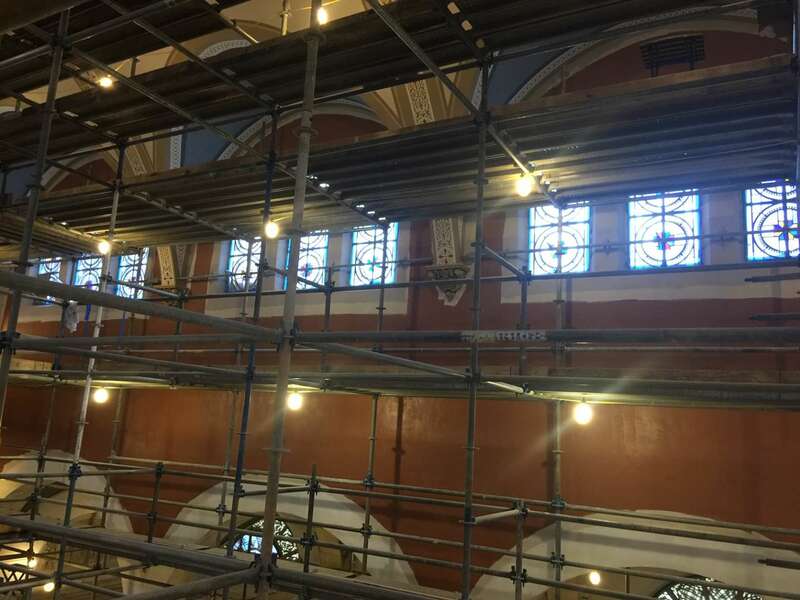 Here, it shows them removing old plaster from the bell tower area right next to the choir loft. We will have another open house after the 4:00 PM Mass on Saturday, March 2nd, and after the 7:30, 9:30 and 11:15 AM Masses on Sunday, March 3rd. Come and invite your friends and family!